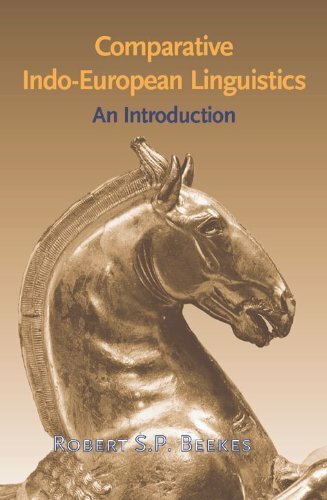 The book gives a comprehensive introduction to Comparative Indo-European Linguistics, the first to appear in English. It starts with a presentation of the languages of the family (from English and the other Germanic languages, the Celtic and Slavic languages, Latin, Greek and Sanskrit through Armenian and Albanian) and a discussion of the culture and origin of the Indo-Europeans, the speakers of the Indo-European proto-language, who are considered to have lived in what is today the Ukraine.The book gives an introduction into the nature of language change and the methods of reconstruction of older language stages, with many examples (from the Indo-European languages). A full description is given of the sound changes, which makes it possible to follow the origin of the different Indo-European languages step by step. This is followed by a discussion of the development of all the morphological categories of Proto-Indo-European. While the book presents a large amount of material and discusses many principles and the relevant terminology, it is written in a very readable and lucid style. Use of the book is facilitated by an appendix on phonetics, a glossary, full indexes, and an extensive bibliography. The book can be used as a first introduction to the field, and at the same time brings the reader to the current moment of research.